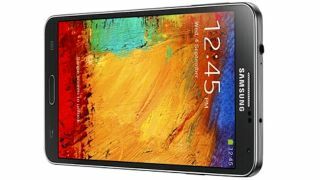 If you are a gamer or a movie fan, then you've probably found the expansive 5.7-inch Full HD Super AMOLED screen to be one of the Samsung GALAXY Note 3's biggest draws. After all, with a combination of vibrant colours and pin-sharp image quality, the Super AMOLED display can handle Full HD with ease. In this feature, we are going to take a deeper look into the tech behind that screen. What is Super AMOLED? How does it work? And what are the apps that will help you get the most from your Samsung GALAXY Note 3's display? The two major types of display currently in use are variations on Liquid-Crystal Display (LCD) and Organic Light-Emitting Diodes (OLED). LCD is still common in many flat-panel displays and computer monitors but OLED is growing in popularity. Active Matrix OLED (AMOLED) adds a thin layer of semiconducting film behind the OLED panel that gives fast and accurate activation of each individual pixel and allows for large displays at very high resolutions. The 'Super' part of the Super AMOLED equation is Samsung's own twist on the technology, which embeds the touch-sensitive layer into the screen itself rather than using an extra layer on top. As well as slightly reducing the thickness of the screen, this helps reduce the reflectiveness of the display and improves viewing in bright sunlight. "It's like, how much more black could it be?" One of the most noticeable things about the Note 3's Super AMOLED display is how well it displays black. On an LCD screen there is a constant backlight that can leave 'black' looking more like a very dark grey. With a Super AMOLED screen, the light comes from each individual pixel and to 'show' black, that pixel is effectively turned off. This produces a true black rather than 'nearly' black, and the result is an incredible contrast that makes the surrounding areas of colour look even more vibrant. The lack of a backlight layer again means that the GALAXY Note 3's display can be even thinner, with the whole device clocking in at just 8.3mm in thickness. Like the Samsung GALAXY S4, the GALAXY Note 3's screen is specced as Full HD, meaning it can display true 1080p video at a 1,920x1,080 resolution. The Note 3 stays pin sharp even with its larger screen. The Full HD Super AMOLED display makes the GALAXY Note 3 a brilliant entertainment device. Whether you want to watch HD movies or play the latest games, the Note 3 can handle it in style. Most apps look good on the GALAXY Note 3 but some really make the most of the display. Here are our picks of the best. One of the best-looking games available for Android devices. If played on a less capable system, Real Racing 3 can scale down its graphics but thankfully the GALAXY Note 3 has enough processing power to provide the oomph the game needs to really shine. With graphics on high detail the game still runs perfectly smoothly on the Note 3, and the vibrant display shows off both cars and the 3D track to their best advantage. Netflix's streaming movies and TV look great on the Note 3's Super AMOLED screen. Whether you want to enjoy a film or settle down for some box-set TV, the GALAXY Note 3 offers the resolution you need to properly enjoy cinematic masterpieces and a screen that's generous enough to stop you having to squint. The built-in Videos app can handle most common video codecs, but for more obscure files you may find that the Android version of the popular VLC video player is just the thing. It can also play most music files and handle streaming video in a variety of formats. Now in a special edition that supports the GALAXY Note's pressure-sensitive S Pen, Infinite Painter is superb painting app that lets you create artworks using hundreds of brushes and effects. You can start from scratch or import photos from the Gallery app to retouch or 'paint over', turning them into pseudo-oil-painted masterpieces. The S Pen that comes with the GALAXY Note 3 is the most advanced yet and makes for a highly effective virtual paintbrush. 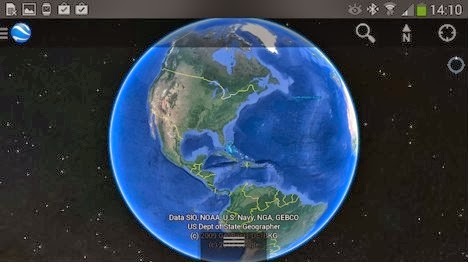 Google Earth looks incredible on the GALAXY Note 3. 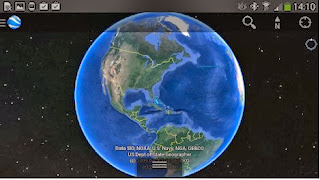 Satellite imagery and close up aerial shots of the planet come alive on the Super AMOLED display, and you can easily navigate the Google Earth interface with either fingertip or S Pen. Explore the planet from above or zoom in to see amazing detail in major cities, many of which have been modelled in 3D for you to virtually fly through.